Do you work in El Cabanyal or La Marina de Valencia? In this blog we tell you what you need to know to make your working day in the area easier. A survival guide that we deliver to the new Vortex Coworking incorporations on their first day and that we now want to share with other professionals and coworkers who work here: where to have coffee, the menu restaurants, the takeaways, the terraces sun and where to take something when leaving work. El Rinconcillo It is one of our favorites and the closest to coworking. As you would expect with Italian owners, coffee and croissants are top and they also have soy milk option. But the best thing is your terrace in the sun away from traffic to enjoy the weather and the light of Valencia. They open at 9am. El Rinconcillo: Italian with a dish of the day (Italian specialty, different every day) for € 5. La Barraca: Homemade food with rations 3-4 €. The specialty? Valencian paella and fideua every day, and a different rice every day. The quality of the food is so well known to all that it is necessary to reserve the ration before 12 o’clock, or you may be left without. 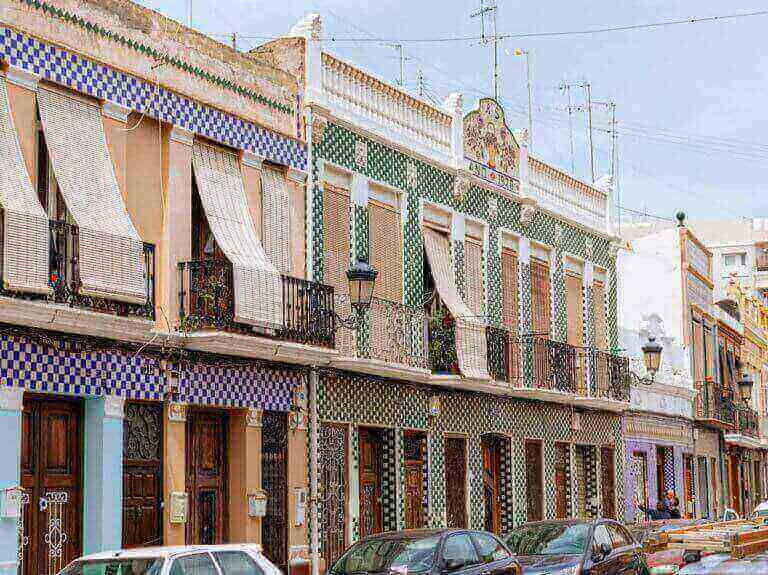 We dare to say that it is one of the places with the best price in Valencia. Gimnasio Indoors Samaranch It is a very complete gym with paddle tennis courts. Gimnasio Indoors AQUA, one of the most complete in Valencia and with SPA. El Viento and El Ultramarinos, few steps by Vortex Coworking, They are perfect to snack, dine or extend the night with a live concert with your coworkers. El Clavo and La Peseta, a classic from Valencia for vermouth. La Fabrica de Hielo: 15 minutes walking from the coworking space it has a wide and varied monthly program with concerts and cultural activities, one of the most fashionable places in Valencia. La Pilona Cultura: broad cultural agenda, tapas and vegan food. La Batisfera: the twin of the Cabanyal de Ubik Café in Ruzafa. On the same street as our coworking, Calle de la Reina. We hope this guide of “essentials” is useful for the professionals with whom we share a neighborhood. For our part, we will try to keep this guide alive by periodically incorporating the essentials that we discover. And, of course, if you need a meeting room, a virtual office or a space to work … come and visit Vortex Coworking! We invite you to a coffee. Do you work in the Cabanyal or the Marina de Valencia? In this blog we tell you what you need to know to make your working day in the area easier. A survival guide that we deliver to the new Vortex Coworking incorporations on their first day and that we now want to share with other professionals and coworkers who work here: where to have coffee, the menu restaurants, the takeaways, the terraces sun and where to take something when leaving work.